Hollister Pouchkins Premie Pouch is an ostomy pouch that's ideal for low birth weight infants. 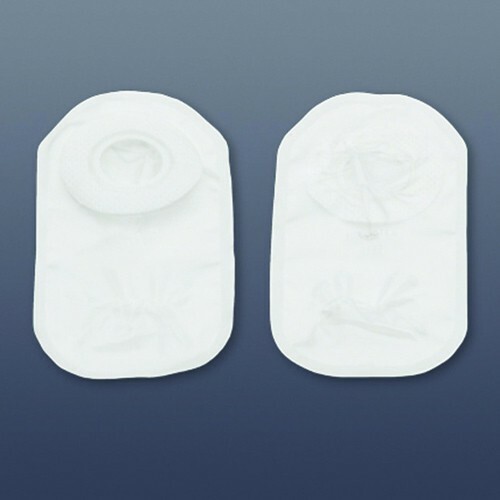 With a 10ml capacity closed pouch, this premie ostomy pouch can be conveniently cut at the bottom and used (if desired) as a drainable pouch. Suitable for use with a SoftFlex skin barrier, this closed pouch is flexible, gentle and the ideal pouch for your premie. Hollister Pouchkins Premie Pouch is made to be ultimately comfortable. Constructed with an odor-barrier film and woven with a soft and flexible skin barrier, this pouch is packaged with several foam-covered closures. You may also be interested in similar newborn ostomy pouch products, such as Sur Fit Natura Little Ones Urostomy Pouch. Specifically designed to adhere seamlessly to the body contours of low birth weight infants. Has a 10ml capacity and closed pouch that can be quickly cut at the bottom to turn into a drainable pouch. Suitable for use with SoftFlex skin barrier.